College is a fantastic time in any young person's life. It's an opportunity to discover passions for knowledge and make long-lasting connections that extend far beyond your tenure at the school. It's also an opportunity to hone important skills that can have a direct impact on your career. Now is the time to develop these skills and give yourself a leg up in today's competitive job market. Here are 10 reasons why you should explore the importance of leadership skills in college. Leadership isn't a cut-and-dry quality. In fact, it's quite the opposite. There are many nuances to leadership that people fail to consider. Soon you'll be able to say that you drove student engagement or helped generate funds for your program. These in-demand, tangible skills will give you a competitive edge in the job market. It's a powerful quote that gets tossed around all the time, but have you stopped to consider its meaning? It means that it's up to you to take responsibility for the world you want to live in. While it'd be far easier to do the bare minimum, this doesn't lead to a fulfilled life. It's up to you to make the type of world that you want to live in. And learning how to be a leader in college is a fantastic opportunity to start that shift. You'll need responsibility to help you own your mistakes, like a lack of studying. Accountability can keep you honest when you're not making the best use of your time. Dependability shows your fellow students and professors that they can count on you, whether it's helping out with your organization or turning in great work. Networking is a lot more than schmoozing future employers or hanging out with your peers. It's about forming genuine connections and establishing your own personal brand to help others learn what you're about. By getting out of your comfort zone and networking with other leaders, you'll be well on your way to starting the dream job you've always wanted. It's no secret that obtaining a degree can be an expensive endeavor. According to the Wall Street Journal's findings, the average student graduates with over $37,000 in debt. There's nothing quite as rewarding as recognition for your accomplishments and contributions. Learning leadership skills and experiencing the accompanying growth can do wonders for a person's mental health. The positive momentum from your newfound skills will influence everything in your life. You'll see improvement in your performance in job interviews and your interpersonal relationships. It's amazing what you can accomplish! If you've ever worked on a group project or lived with messy roommates, you know that not every communication style works. It's easy to come across too aggressive or passive, neutering your whole point. By the time most student leaders finish college, they've done things they never thought they could do. Whether it's traveling to fun new locations or delivering a speech to hundreds of people, college is a great time to learn practical new skills. The leadership choices you make today will influence your school's direction in the future. When it comes time to walk across the stage and accept your diploma, you'll know that you left your school a better place than when you found it. But most of all, a leader is someone who has what it takes the change the world. 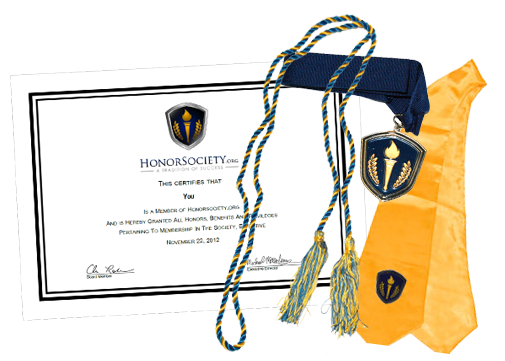 If you're interested in becoming a better leader, become a member of Honor Society today.